“We also stress the importance of system-wide strategic planning, implementation and reporting in order to ensure coherent and integrated support to implementation of the new Agenda by the UN development system. The relevant governing bodies should take action to review such support to implementation and to report on progress and obstacles. We welcome the ongoing ECOSOC Dialogues on the longer term positioning of the UN development system and look forward to taking action on these issues, as appropriate”, 2030 Agenda for Sustainable Development, para 88. Trouble sleeping? Maybe the Quadrennial Comprehensive Policy Review of operational activities for development of the United Nations system – otherwise known as the QCPR – can help? You can perhaps start your sleep therapy by reading the one hundred and ten pages of dense report prepared by the UN Secretary General in response to General Assembly resolution A/RES/67/226 (or the “QCPR Resolution”) and also following the discussions of the “ECOSOC Dialogue on the longer-term positioning of the United Nations development system (UNDS)”. However, whilst it might not be a riveting read, anyone who believes that many of the problems in the world demand a multilateral response should be concerned by what it says. Because it outlines the major challenges faced by the UN system, if it is to play any role whatsoever in global development. And nothing poses a greater challenge than the question of funding – and frankly we think it is a potentially existential challenge for the current UN system. Let us explain: as the Report of the Secretary-General on the QCPR makes clear, core-funding – which means, the resources that support the main activities- of the UN system has dropped from 44% of total funding to 24% over the last 15 years; and even more drastically, the core funding for development activities has dropped from 51% to 30% over this period. In effect, this means that the UN has significantly less control over its money than it used to. This means that despite UN resolutions outlining key priorities, the UN broadly has to do what its donors tell it to do, rather than the sovereign will of the universal UN General Assembly. Without money, UN agencies do not bring about change, and without core funding, UN agencies are forced to see how they fit within donor’s priorities in order to access funding. The principle of core funding the UN is to disassociate the political decisions from the funding decisions. In other words, if ECOSOC, the General Assembly or the Security Council asks the UN to do something, but the US Government (or any other government) disagrees, the fact that the US Government gives substantially more funding than other countries should not undermine the UN’s ability to act. Even more concerning is the fact that the second largest donor to the UN is NGO/Private – meaning that the decisions over what the UN does is potentially driven more by the priorities of non-member states than by member states. The Global Policy Forum Working Paper “Philanthropic Power and Development – Who shapes the agenda?” brings interesting and at the same time concerning data. Effectively, by reducing the proportion of core funding, member states have effectively reduced the political influence of its supposed decision-making bodies, and given more and more power to those who have money. One more thing makes it worse: non-core funding – meaning funding that is project specific – does not cover the UN’s, albeit excessive, administrative charges. This means that the UN is having to subsidise non-core funded activities with the remaining core-funding – or, for instance, putting its staff and structure (mainly paid by Core funds) to work in the implementation of non-core resources. Of course, you will say, the UN system will highlight this issue of funding; that is very much in its interests. Other governments will argue that the UN must become more efficient and less wasteful if it is to trust it once again with core funding. But, go down this route and we reach a dead-end pretty soon – reform cost money and takes time, and it needs to be invested in by member states. In discussion about a UN “fit for purpose” we have to remember that being “fit” does not only mean losing weight but also gaining muscles. We recall an article from Andrew Griffiths, one of the authors of this post, from a few years ago on the reform of the World Health Organisation. This analysis also applies to the wider UN system, as is made clear in the QCPR: the WHO, as one UN agency, has faced and continues to face the same issues of the balance between core and non-core funding. Government’s are pushing for reform before increasing core funding, without recognising the point that reform costs money – money which will never come from non-core, project focused, funding. 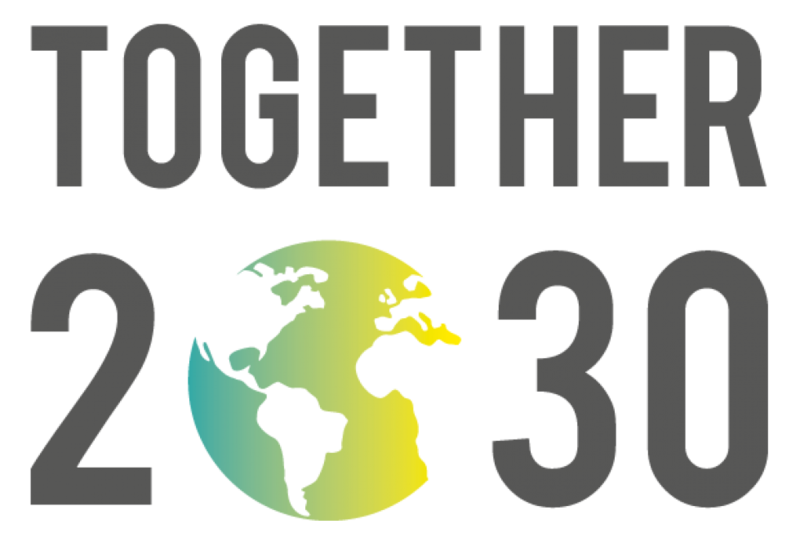 And what is the connection between the QCPR and Agenda 2030, the focus of Together 2030 and of this blog space? The 2030 Agenda is the framework which was developed and driven by enthusiastic stakeholder participation. Now we are talking about how the framework will be implemented, supported by a revitalized UN development system. The current UN development system is unable to live up to the ambitions of the 2030 Agenda. It needs to undergo a serious transformation that is responsive to all dimensions of sustainable development all around the world. Member States, the UN system, as well as all stakeholders agree on the need for reforms, however the content of it differs from each perspective. While the UN system argues for more flexible funding architecture, the increase of capacity and the employment of skilled staff, Member States want to see lower, stricter, more precisely spent budgets but want at the same time effectiveness, results, coherence and better coordination. Additionally, it is concerning how resources are not being allocated for the UN to engage in the implementation and follow up of Agenda 2030. An example was the decision of the General Assembly 5th Committee (the Committee that decides on the budget of the organization ) authorized the Secretary-General “to enter into commitments of up to $7.55 million in 2016 to implement decisions in the Addis Ababa Action Agenda and the 2030 Agenda for Sustainable Development”. We are very far away from the “trillions” that will be needed to implement this Agenda. Civil society and other stakeholders cannot lose track of those important discussions at the global level as they will have a clear impact on the way the UN operates at the national level. Reblogged this on Monitoring & Evaluation & Learning.